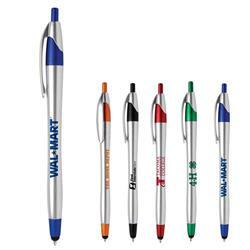 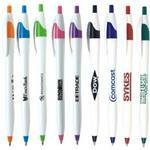 One of our most popular promotional pens now with a stylus and a modern looking silver body with colored trim. 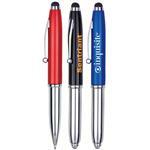 Stylus is at the end of the pen and with the retractable plunger, there is no flipping the pen over to use. 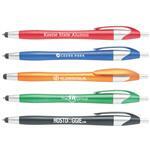 Comes with black or blue ink.